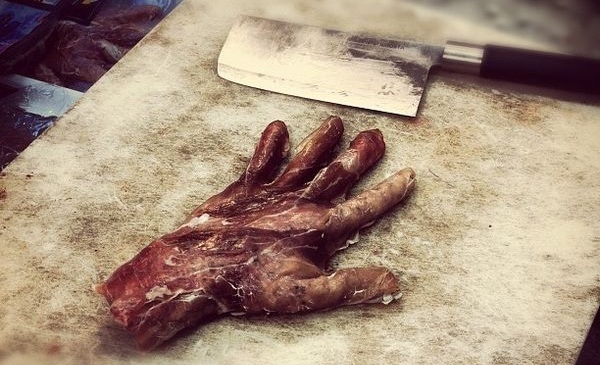 To 'celebrate' the release of Resident Evil 6 , Capcom is all set to open the “world's first” human butchery in London's famous Smithfield's meat market, opening this Friday for two days. 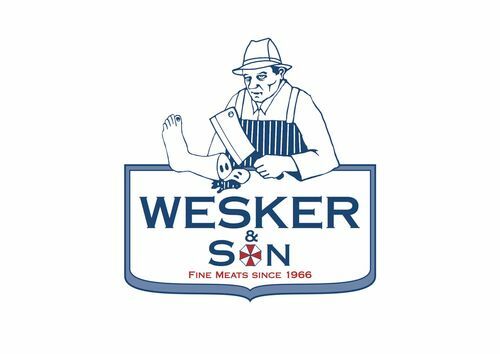 Offering such appetising delights as 'Peppered Human & Lemon Sausages' and 'J'avo Caught Human Thigh Steaks' - as well as plenty more human hands, feet and head in case you were feeling peckish – the marketing campaign will be fronted by fictional butcher Wesker & Son. If specially-prepared human limbs don't yet get your stomach churning though, then just take a look with what's behind the bar to quench your thirst. First up is cocktail 'Stool Sample' (served in a specimen bag, really), which is joined by 'Puss'. Tasty. Resident Evil 6 will be released for Xbox 360 and PS3 Tuesday 2nd October 2012.